Make sure you are logged in to BrainPop using the nine dots on the top right corner of your gmail. If you didn’t finish the activity from yesterday, using your headphones, watch the video again and finish the sheet. (You can handwrite the rest of the answers on it). Take the classic quiz for Periodic Table of Elements video. You need to get at least 8/10 before moving to the next step! I will check your result! In this activity, you are going to use the simulation found here. You are going to work with a partner. you might like to have the simulation open on one computer and use your iPads to access the google doc through your google classroom app. Click on the simulation below and then click on atom. Play with the simulation. Try dragging protons, neutrons and electrons into the atom and see what happens. In the Google Classroom, there is an activity for you called Investigating Atoms. Open the Investigating Atoms doc on your iPad, through Google Classroom. On the simulation, make sure all three boxes under Show are ticked. You are aiming to build neutral atoms that are stable. They should look like this example for Helium. Complete the table on the google doc. The first row is for Helium and I’ve filled it in for you from the picture above. Follow the rest of the instructions on the google doc. This entry was posted in Earth and It's Chemistry, Grade 7 Science and tagged Cover on October 15, 2015 by Merilyn Winslade. I’m sick and in bed. Hope you are all feeling well! Here is your work for today…. Finish all the questions in the booklet I shared with you yesterday about static electricity and charges. Correct your work by looking here. Read pages 124 to 127 in your text book and answer the questions. Work through the questions in this hand out, using the simulation below. 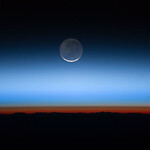 (Having trouble getting the simulation to work? Go to system preferences and privacy and security. Click ‘open anyway’). 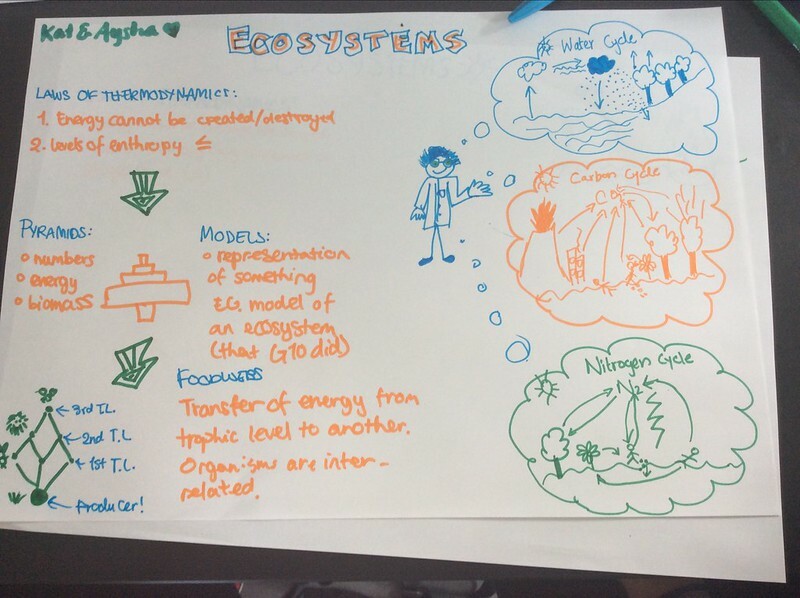 This entry was posted in Grade 10 Science and tagged Cover on October 8, 2015 by Merilyn Winslade. Today you are going to do some Science in Tutor since you had three periods of tutor yesterday! You will finish the practice science test we started in class yesterday. Global Travel Task – have a go at the task below. 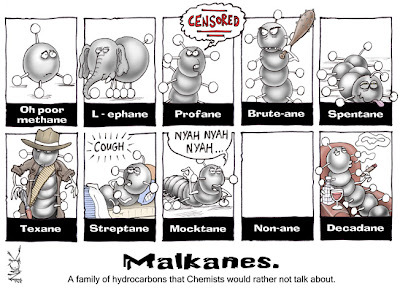 Make sure you understand everything ready for the test on Monday! 🙂 If you don’t, send me an email. I’ll be online! 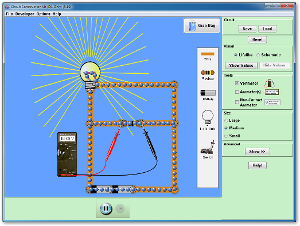 This entry was posted in Grade 7 Science and tagged Cover on October 8, 2015 by Merilyn Winslade. 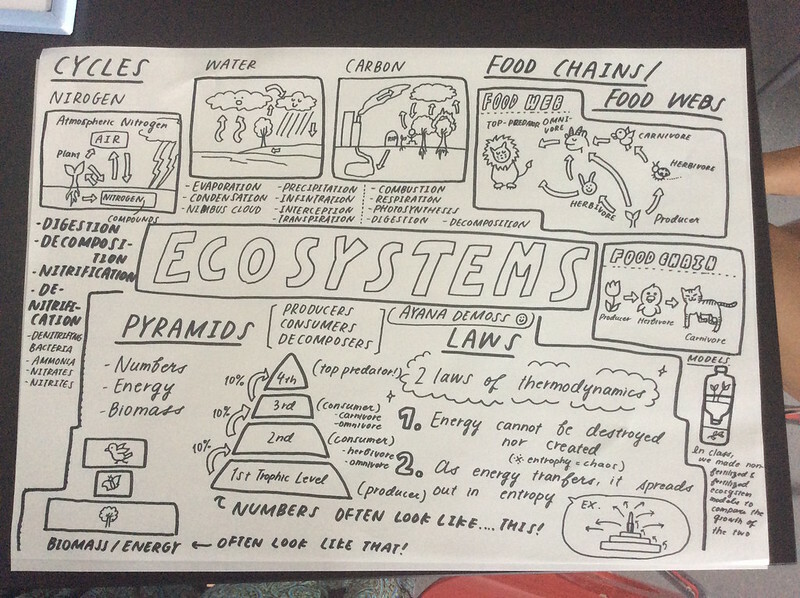 With your partner, have a look at a couple of the concept maps prepared by 10C for our topic of Ecosystems. Have they missed anything important? Have they connected related ideas? Now have a go on making your own. You can use the pens and pencils in the stationary drawer. Once you are happy with it, photograph it and upload it to the google classroom as a class comment. (I will look at these to make sure they are complete). Try some practice test questions. Make sure you check the answers! 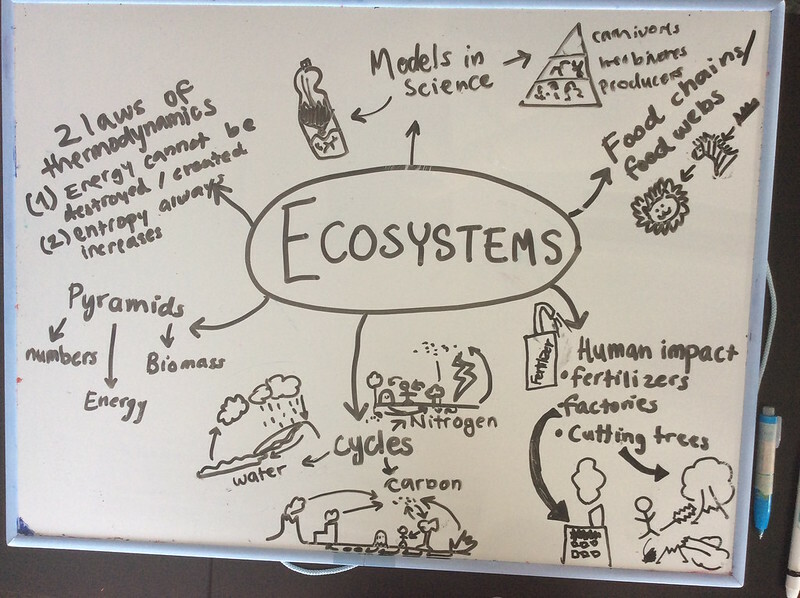 This entry was posted in Grade 10 Science and tagged Cover on September 30, 2015 by Merilyn Winslade. Finish collecting your data with your lab partners. Begin to write up your report. Use the guidelines on the task sheet. Continue to write up your report. Use the guidelines on the task sheet in Google Classroom to help you! 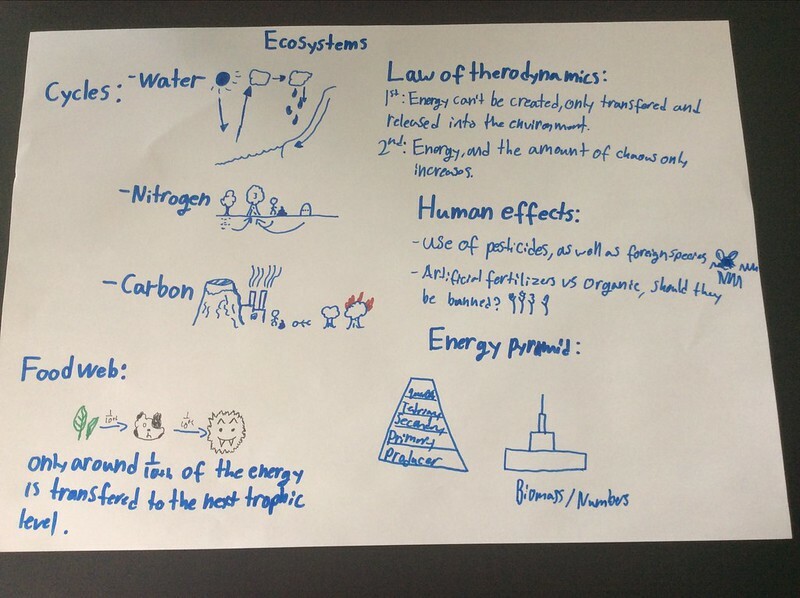 This entry was posted in Grade 7 Science and tagged Cover on September 29, 2015 by Merilyn Winslade.